Dr. Lionel Meadows specializes in complete Women’s Health including Gynecology, Minimally Invasive Gynecologic Procedures, Cosmetic Surgery, Medical Spa Treatments and Weight Loss. Dr. Meadows practiced Obstetrics and Gynecology in Toccoa, Georgia for more than ten years, specializing in minimally invasive gynecologic surgeries and modern women’s health care procedures. With training in New York, Scottsdale and Los Angeles for cutting-edge cosmetic procedures such as SmartLipo, Thread-Lift and Laser Vaginal Rejuvenation, Dr. Meadows was recognized in North Georgia for his patient care and excellent cosmetic outcomes. 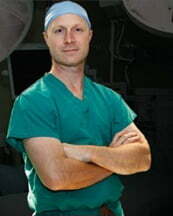 Dr. Meadows and his team specialize in cosmetic surgery, gynecology, weight loss, and spa treatments. Meadows Surgical Arts offers Care Credit (0% for 12 months anything over $1000) to help those financially. Dr. Meadows received dual Bachelors of Science in Biology and Chemistry from Emory University in Atlanta, Georgia. He continued his education at the Medical College of Georgia in Augusta; receiving his Doctor of Medicine. He later completed his residency in Obstetrics and Gynecology at the University of Tennessee in Chattanooga. In 2009, he completed an AACS Fellowship with Dr. Jim English in Little Rock, Arkansas. He became a Fellow in the American College of Surgeons in 2017.